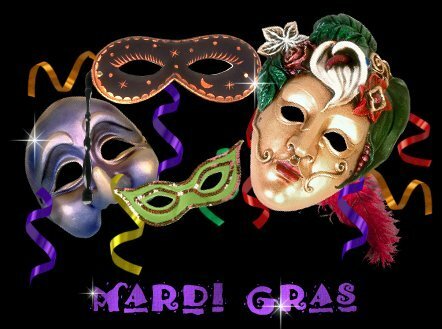 Today is Mardi Gras, the day of celebration prior to Ash Wednesday. Tomorrow we begin Lent. As a pastor I am more mindful of Ash Wednesday, but I understand the attraction of Mardi Gras. Most of us like a good party, a reason to celebrate. Since Lent is a time of spiritual discipline, which can involve fasting or personal denial, at Mardi Gras one can “excuse” oneself from the anticipated denial by celebrating in wine and song. One piece of Mardi Gras captured my attention this year, the use of masks. My guess is that you still do not want to be recognized during the celebration. You fear that you might do something so embarrassing that you prefer to be anonymous. But most masks are very superficial and do not truly cover your identity. It may be more of a psychological mask that allows you to behave in a way you wouldn’t otherwise. Masks are something that come off on Ash Wednesday. The central theme of Ash Wednesday is our mortality. Adam was told after his rebellion against God, “From dust you come and to dust you shall return” (Genesis 3:19). The imposition of ashes marks us as mortal sinners. We may party hard today, but eventually the party ends. The grave will “unmasks” us all. The season of Lent marches towards the cross of Jesus, where the Son of God is executed. The human rebellion against God is fully revealed. No masked will be allowed on that day. But then God turns everything around with Easter Sunday. It is no longer masks we wear, but a new resurrected body. The shining reality of God’s mercy and love shines in every hue and color. That celebration is even bigger than Mardi Gras. Lord Jesus, show me how to find my joy in you. This entry was posted in crucifixion, Jesus, Joy, Resurrection, Uncategorized and tagged Ash Wednesday, Lent, Mardi Gras, masks on February 21, 2012 by Pastor John Keller.